Explore a gigantic, limitless and rich world. It's a brand new open-world experience. 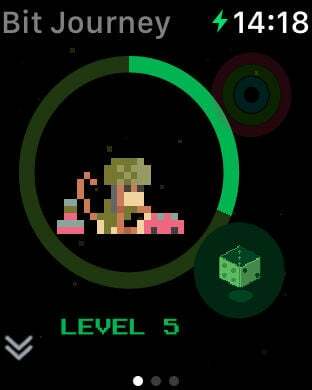 The world has gone mad, time travel vortexes are appearing everywhere and spawning incredible enemies that are trying to dominate the whole world while our three heroes are trying to survive! Destroy everything in the world, collect gold and defeat amazing enemies. Score by doing anything in the world, improve your character skills and prepare to survive. 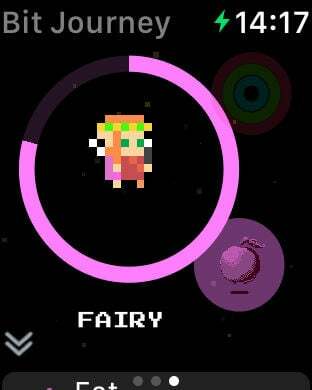 You can even conquer secret bases and compete with your friends in the leaderboards! 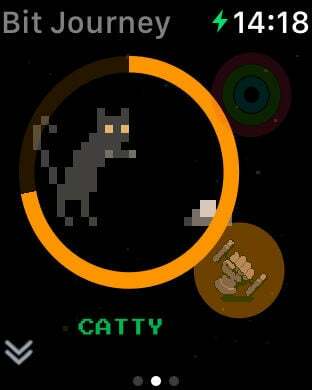 You can also use your Watch to take care of pets and use them as sidekicks in the game! You can feed them, play with them, train them and your workout activities impact in their performances during gameplay! To fight side-by-side with Chip, Catty and Fairy, just raise your wrist while playing and have fun! 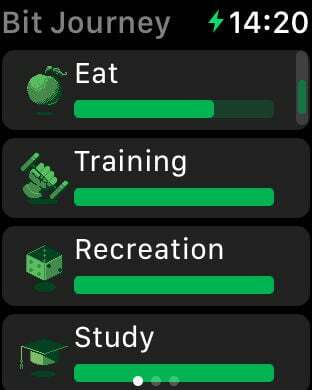 This game uses data from the Health app. Be a mysterious ninja, an army soldier or even a medieval warrior. Survive the journey and reach the higher glory. There's a little bit of everything in Bit Journey.